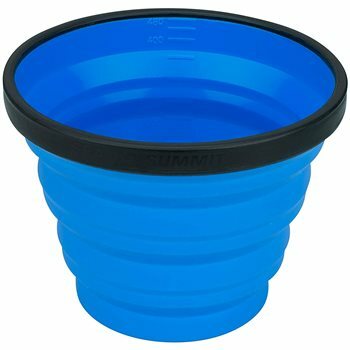 Packs down small, weighs next to nothing, but still holds plenty for your drink. Double the size of the X-Cup, the X-Mug can hold plenty to drink. The rigid ring within the rim keeps it sturdy and easy to drink out of but still allows the cup to be collapsed into a flat disk that will fit almost anywhere. The silicone we use in our products has been tested and surpasses the Japanese Food Testing process, which is the most stringent standard available. This means that there's no foul taste, no BPA and can withstand considerable heat.